A few undated photographs of the views around Church Hill, Laindon. 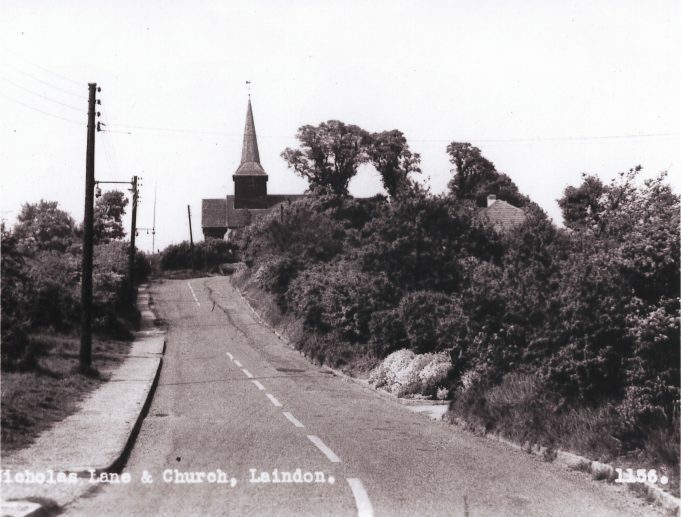 St Nicholas Church at the top of Church Hill, Laindon. Looking down Church Hill towards Markhams Chase. 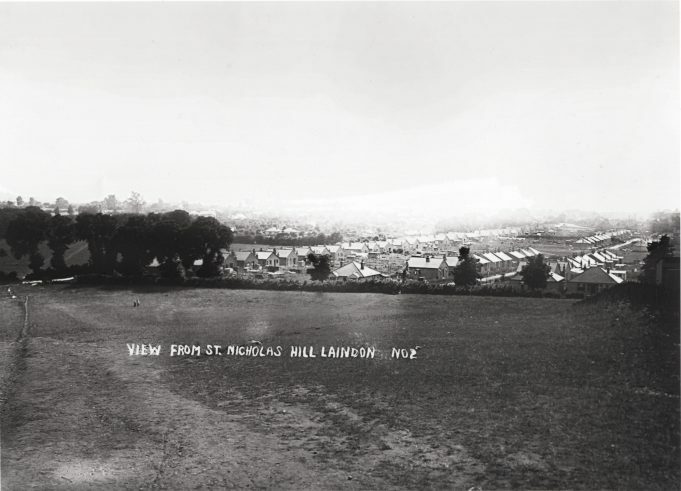 Looking across Pound Lane, Dickens Drive and St Nicholas Lane. Looking across from Dickens Drive. 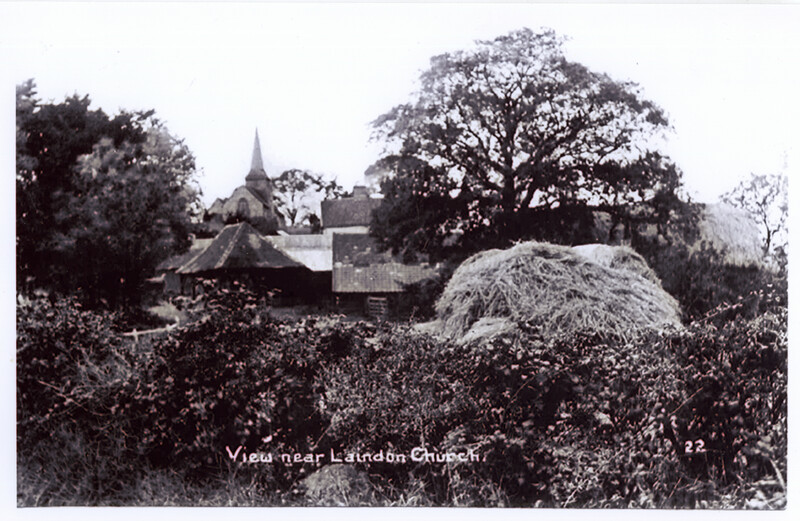 The wooden church hall can be seen in the middle of picture, slightly to the left. 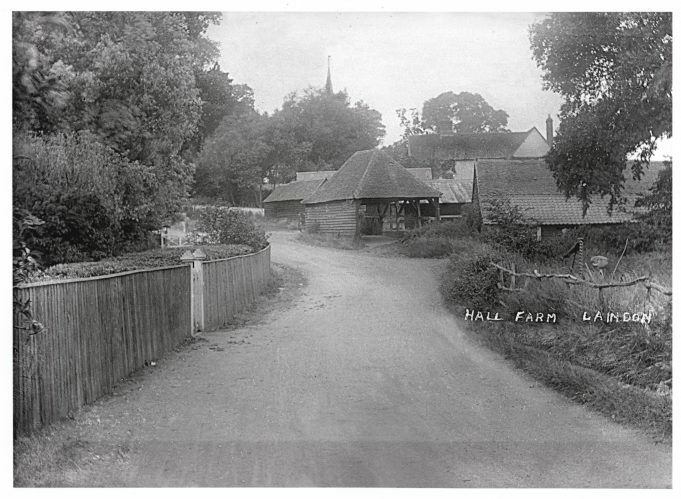 Hall Farm with the spire of St Nicholas Church in the background. Yes, it was Laindon Park Primary then. I don’t know why it was called Donaldson’s. Can anybody Help. The Head Master was Mr Wilson and his son was also at the school. Mrs Card, Mr Stone and Mrs Hughes were three of the teachers. School lunches were brought in from Markhams Chase. Editor: The school was opened in 1877 and called St. Nicholas School Board. Later its name was changed to Laindon Park Junior School. Its nickname ‘Donaldson’s came from its long standing headmistress Margaret Donaldson who was in service for 28 years, from 1920 to 1948. I went to St Nicholas or Donaldson’s as it was also known. Our class was the old church hall. Dave Pritchard, Victoria, Australia. 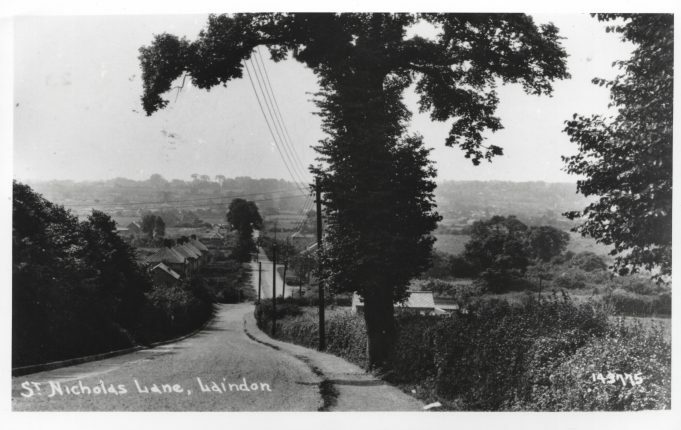 Editor: Now known as Laindon Park Primary School. I went to St Nicholas, and was in a play about Thomas Becket in Laindon Church. Used to go there just for a walk, as I lived in Little Lullaway. Just saw it all the time.